A scientist from the Faculty of Physics, MSU together with Russian and foreign colleagues studied changes in the behavior of electrons in one of the types of dielectrics with high time resolution and witnessed how the material turned into a conductor under the influence of ultra-short laser impulses. The method may be used to study high-speed processes. The theoretical study was published in Nature Photonics journal. The authors considered a Mott dielectric formed due to strong electron interaction. Many-body nature of the system complicates its modeling and prevented the studies optical-induced processes in the past. In this work the physicists used the high harmonics spectroscopy research method. The material have been subjected to ultra short (about to hundreds of femtoseconds, i.e. quadrillionth parts of seconds) laser pulses with known characteristics were aimed at the material. When a beam is reflected from the material, a part of the photons acquires 10x and more times higher energy and oscillation frequency compared to the photons of the initial pulse. This is called the generation of high optic harmonics. Changes in beam characteristics provide information about the properties of the material. "Experiments started about 20 years ago and at that time mainly covered the influence of light on atoms and molecules. In the recent five years scientists have turned their attention to solid state systems, crystals. An important property of crystals is that electrons interact with each other. However, no one has ever described such many-body effects in generation of high harmonics from a solid state. 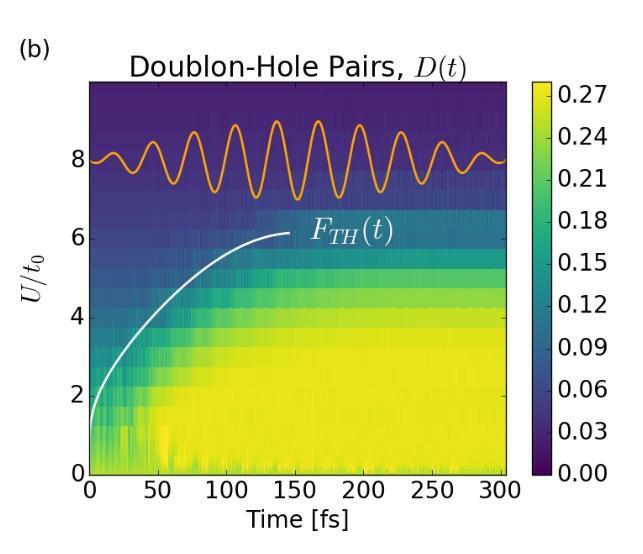 Our theoretical article is the first attempt to study how many-body physics manifests itself in the generation of ultrahigh optical harmonics," said Alexey Rubtsov, a co-author of the article and a Professor of the Faculty of Physics, MSU. The physicists studied changes in the properties of a Mott dielectric under the influence of laser pulses. Its dielectric state occurs because the energy of electron interaction (repulsion of negatively charged particles) is higher than their average kinetic energy. As a result, electrons cannot move freely within the material, and it fails to conduct electricity. When a beam hits the surface of a Mott dielectric, the many-body state of electrons changes under the influence of a strong AC field. The kinetic energy of the electrons increases, and the material loses its dielectric properties. This process was studied using high harmonics spectroscopy. According to the authors of the work, further studies depend on experimental results. "As soon as anything similar is discovered, we'll understand in which direction to move, especially in the description of particular experimental results," added Alexey Rubtsov. The study was carried out together with scientists from Max-Born-Institut, Russian Quantum Center, Moscow Institute of Physics and Technology, Technische Universiteat Berlin, Imperial College London, and Humboldt University.